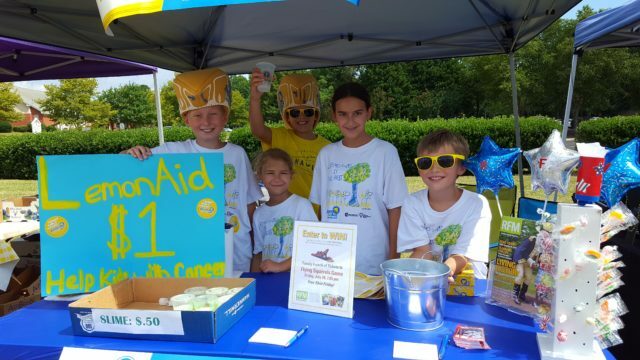 Sign up to host your Anthem LemonAid stand in Richmond, July 20 through 22. Anthem LemonAid Registration is Open! Every week, another child is diagnosed with cancer in Central Virginia. Last year, Maya Smith was one of them. 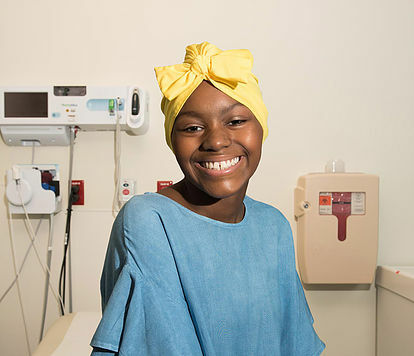 Since May 2017, this vibrant 12-year-old has been undergoing treatment for medulloblastoma, the most common type of pediatric malignant brain tumor, at Children’s Hospital of Richmond at VCU (CHoR). One hundred percent of all funds raised during the Anthem LemonAid campaign will benefit the Hematology and Oncology Clinic at Children’s Hospital of Richmond at VCU, where children with cancer, like Maya, receive the lifesaving care they need. This inspirational pre-teen has maintained a positive outlook since being diagnosed and is looking forward to completing her active chemotherapy treatment this August. For now, she focuses on the positive aspects of coming to CHoR, like seeing her favorite nurses and spending time with the Child Life Specialist. She is incredibly grateful for the support of the community around her and is hoping to see it continue this summer through the area’s participation in Anthem LemonAid. Sponsored by Anthem Blue Cross and Blue Shield, Anthem LemonAid is Children’s Miracle Network Hospitals’ signature summer event and has been helping kids with cancer since 2001. Participants will distribute cups of lemonade in exchange for donations and 100% of all funds raised will benefit the Hematology and Oncology Clinic at CHoR, where children with cancer, like Maya, receive the lifesaving care they need. Maya set up her first Anthem LemonAid stand last year and was one of the event’s top fundraisers, having raised over $3,000. She plans to set up another lemonade stand this summer and is challenging families, businesses and community organizations to set up their own stand the weekend of July 20 through 22. It’s free to participate in the event and supplies are provided. Every registered participant will receive lemonade mix, cups, a pitcher, a banner, stickers and sunglasses. Stands can be set up at one of the available retail sites or at a place of participants’ choosing, such as a local business, front yard, or neighborhood pool. Along with Anthem Blue Cross and Blue Shield, other event sponsors include Children’s Hospital Foundation, Virginia Credit Union, RVA Primrose Schools, Call Federal Credit Union, Walmart, Sam’s Club, Kroger, Walgreens, Sweet Frog and Mexico Restaurant. Great gratitude goes out to these partners who contribute to the success of Anthem LemonAid year after year. To register for Anthem LemonAid or to learn more about the event, please visit www.AnthemLemonAid.com or call 804-228-5934.